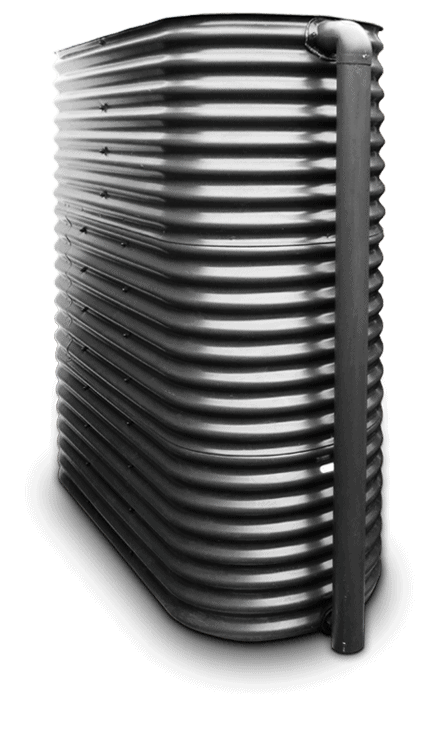 Slimline Rainwater Tanks was the first company to invent the 'Slimline' shape ColorBond Steel water tank over 36 years ago. We are now known as WaterLine Tanks. 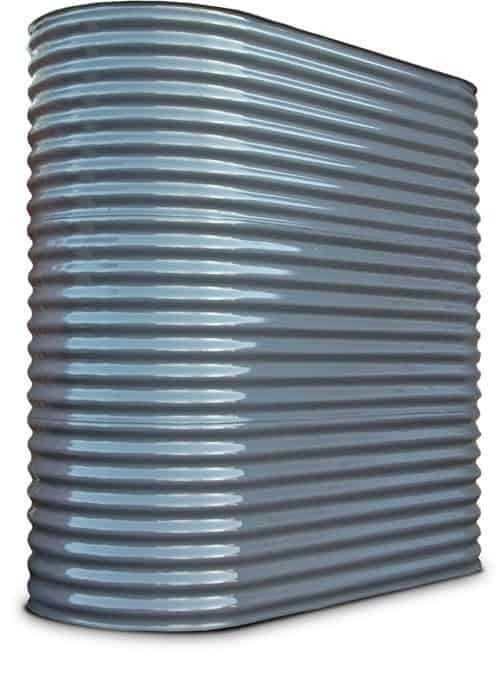 Colorbond Slimline Rainwater Tanks Melbourne: The ORIGINAL... and still the BEST! Why Choose A Steel Tank? Just wanted to get back to you & thank you all for the tanks you delivered recently. I know it was a challenging driveway for your driver to cope with so a big thanks for his patience & effort, and to your adaptability to our changing schedule. The tanks look great & appear really well built, sealed & finished. We put 8000L in the big one the next day, all solid. Thanks for your quick reply to my initial quote request & your direct answers to all my questions - it got you the job. Tank received this morning and I couldn't be happier! I will be in touch at the end of next year when I intend to buy two very large tanks for a planned renovation!! Your driver is so friendly and very helpful, please do pass on my thanks for his efforts and I really appreciate your great service as well. Also attached are some pics of the tank located pride-of-place in the front garden! I'm going to paint the wrought iron a similar colour so it will all blend in beautifully. Please thank Phil for me for all his help and pass on our praise for the entire team which have shown how to service client needs very well . Wish all our dealings with other service providers was as good. Thank you for organizing the delivery for between 1:00pm and 3:00pm…we appreciate it and thank you and your Team for the efficient manufacture of our tank. My husband and I would happily refer people to Slimline. All our interaction with the company has been seemless. It doesn’t seem to matter who you speak to at the office everyone is accommodating, friendly and every willing to help. No one at the office is pushy just really down to earth and let you make up your own mind. It is fantastic to see a company in rural Victoria so well run and successful. The first time we visited the factory we were pretty impressed with the friendly workers in the factory as well as the office staff. Congratulations to management for employing people who work hard at producing a quality product and genuinely care about customer service. Slimline Tanks had the best price, great customer service, free delivery to our area although it was over 90kms away, and our new tank looks fabulous! Thanks for the quick turn around on this tank it’s really appreciated and the client is wrapped. We’ve been using Slimline Tanks since the government rainwater harvesting legislation was first introduced. We prefer the looks and durability of Colorbond steel, as do our owners and combined with quality of tank Slimline produces, we’re happy customers. Thank you for the delivery last Thursday. It came early which was a bonus. I really appreciate the speedy & easy way my order was managed. The tank was delivered in good order and we are very happy with the design and looks. We are very satisfied with your service and communication. It has been a breeze. After hearing all the horror stories of people going through a bad experience we can only praise your company for delivering an excellent product, on time and at a reasonable price. We might need another tank in the future and will definitely order it from your company again. I will highly recommend your company to anybody who's interested purchasing rain water tanks. Thanks for your service! What Makes Our Tanks Stand Out From The Crowd?